The first smartphone that uses the new Mango OS is produced by Fujitsu-Toshiba and has been launched on Wednesday, during an event held in Tokyo. IS12T is the first in a series of devices to be launched in coming months, by which Microsoft hopes to signal that it is still a serious player in the smartphone market. IPsmarx announced the release of Breeze, their new line of VoIP Mobile Dialers that can be used with smartphones, such as the iPhone, Windows Mobile, and Android devices. SPB Software has updated the Windows Mobile version of its flagship application SPB TV to version 2.0. Due to support from advertising revenues the program is now free-of-charge and subscription-free. AT&T has announced plans to work with TerreStar to offer an integrated smartphone mobility solution that will combine primary cellular wireless connectivity with the ability to connect to a satellite network as a backup, using one phone number and one smartphone device. This new solution will provide users with an access to both cellular and satellite networks through a handset that is – as the companies claim – both smaller and more feature-rich than previous satellite devices. 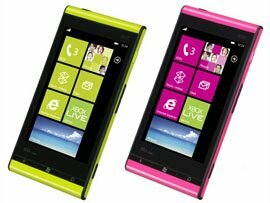 The new phones will be the first to feature Windows Mobile 6.5, the latest version of Microsoft’s mobile phone software. The company didn’t unveil any new details, they just promised “easy-to-use user interface”, “better browsing capabilities” and “access to valuable services”, which will be Windows Marketplace for Mobile (the company’s app store) and Microsoft My Phone (backup cloud service), that are also set to launch on October 6. “Smart phones continue to shine as one of the brightest spots of the technology industry, with shipments growing despite the global recession,” says the recent Canalys’ report on the Q2 key smartphone market trends. 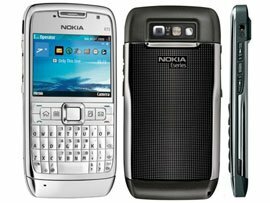 The report shows that Nokia maintains global lead, Apple’s success continues, as the iPhone takes 23% of the North American market and RIM continues to gain share, succeeding with its push into the consumer market. Touchscreens become the preferred interface, representing 40% of all shipments. ZTE Corporation is promising to reveal a full portfolio of smartphones at the Mobile World Congress 2009 in Barcelona. All in all, 10 different designs are to go on show, including customised handsets for Vodafone and China Mobile. Toshiba could well steal the spotlight away from some bigger smartphone names with the launch of its latest high-end handset at the Mobile World Congress in Barcelona. Called the TG01, it’s the first announced device with Qualcomm’s 1GHz Snapdragon QSD2850 chipset with dynamic speed control to ensure good battery life. Interest continues to grow over Microsoft’s intentions for next month’s Mobile World Congress in Barcelona. Among the expectations are an update to its mobile software and services strategy.